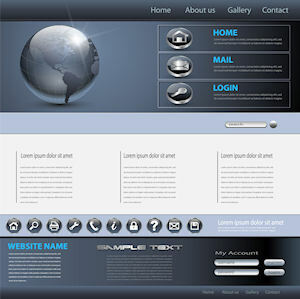 Wishing You Could Design Your Own Website? Site Build It offers some pretty cool web design tools that don't really require any graphics or design skills. But what if you want to do some of the design work yourself? What if you already know how to use HTML and/or style sheets... or you're itching to learn? Well, that's OK too! Hundreds of SBI websites have been built by people who have designed their own headers and templates from scratch, or by tweaking another design. I'm one of them! I've customized the template for every one of my sites. I am a visual person and I'm creative. I didn't know anything about graphics or web code before I started, but I learned as I went. And I'll help you learn too... or if you already know it all ( ), then I'll help you figure out how to integrate what you do with what Site Build It does. Uploading your HTML pages to SBI isn't hard, but if you've worked with any other web hosts in the past, it IS different... very different. By different, I mean less convenient... no uploading 20 files in seconds! But, on the other hand, you have access to some pretty cool tools, so it's definitely a trade-off. One great thing there is to know is that Site Build It now offers a few hundred original website templates for users who want to upload their own HTML (UYOH) pages. Many of them are quite beautiful. They come in quite a variety of color palettes, layout designs and they are designed to fit a wide variety of niche themes. 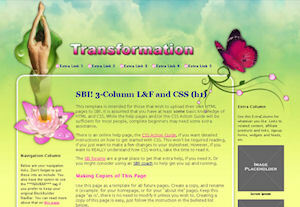 I believe most new web designers could find something in their template library that you can work with. But, if you want to start from scratch or find a template somewhere else and use it for your Site Build It site, you can do that too! I have put together a series of website design tutorials to help you design your own website. 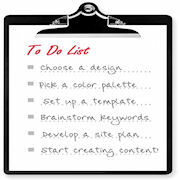 Do it yourself web design is definitely do-able with the help you'll find here! If you have a good sense of color, an adventurous and questing spirit and you pay attention to the tips I provide in this section of MYOW Coach, it's definitely possible to design your own website. Not only that, but your do it yourself web design will be one that you're proud of too... and that enhances your great content as well! The tutorials on this side help anyone get started with the basics of website building. SBI design or make your own? The tutorials below are for web owners who have mastered the basics and are ready for the next level. Adding a favicon with FavIt! Supporting our sponsors helps keep the information on this site FREE. Thank you! Copyright © 2011 – Make-Your-Own-Website-Coach.com. All rights reserved. endorse or have direct influence over the service that is provided."